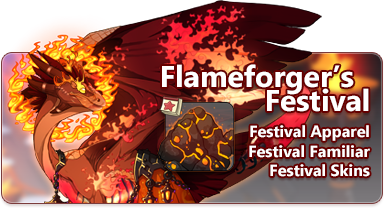 This month, all of dragonkind come together to participate in the Flameforger's Festival. This festival celebrates the fire flight. Our most prized possessions, Glowing Embers, can be found by using any gathering profession in the fire territories this week. Neutral and fire-aligned monsters also have a chance to rarely yield these items as drops in the Coliseum. They may be crafted at Baldwin's Bubbling Brew using alchemy reagents. A smoldering clump of embers that is almost too hot to hold. This can be traded at the Festive Favors shop during the Flameforger's Festival. The Festive Favors holiday stall is now open for the duration of the holiday and you may trade in Glowing Embers for exclusive items. It will remain open until the holiday comes to a close on Sunday, September 2nd, at 06:00 server time. Manticore are often hired by other beastclan tribes to perform espionage in thick jungles or dense woodlands due to their exceptional prowling abilities. Someone really put in the elbow grease. Hunting the deeps with this thing might be a little hard if you get caught in a sunshaft. The results are in... congratulations to all of our winners! For the remaining duration of the holiday, 12 of these skins will be stocking in the Treasure Marketplace and six of them will very rarely gathered by digging in the fire territory or by battling in the coliseum. 2 of these skins will be exclusive to Baldwin's Bubbling Brew. Flameforger's Festival 2018. (8/14) Designed by Endivinity. Flameforger's Festival 2018. (9/14) Designed by Passenger. Flameforger's Festival 2018. (10/14) Designed by jorts. Flameforger's Festival 2018. (11/14) Designed by Drytil. Flameforger's Festival 2018. (12/14) Designed by Despicoble. Flameforger's Festival 2018. (13/14) Designed by nohsara. Flameforger's Festival 2018. (14/14) Designed by SaiKae. Flameforger's Festival 2018. (1/14) Designed by SuicideStorm. Flameforger's Festival 2018. (2/14) Designed by SnailTea. Flameforger's Festival 2018. (3/14) Designed by Vynne. Flameforger's Festival 2018. (4/14) Designed by Erithuet. Flameforger's Festival 2018. (5/14) Designed by nekosysteme. Flameforger's Festival 2018. (6/14) Designed by kerbeus. Flameforger's Festival 2018. (7/14) Designed by Nightjarring. 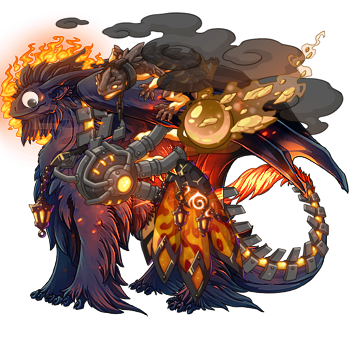 [url=http://flightrising.com/main.php?dragon=3005455] [img]http://flightrising.com/rendern/350/30055/3005455_350.png[/img] [/url] I'm sad to see no tundra skins have won :( Congratz to the other skin/accent winners! They look lovely! I'm sad to see no tundra skins have won :( Congratz to the other skin/accent winners! They look lovely! I run on UK time. Apologies for timezone-related delays in responses. Woop woop happy Flameforger's everyone and congrats to all of the winners of the S&A contest!